New Jersey born and raised, Erin Szulewski is excited to be a part of the growth and redevelopment that is currently taking place within her home state. Erin helps corporations, developers, and small businesses navigate the entitlement process throughout multiple regulatory jurisdictions. Her local knowledge, combined with professional experience, has uniquely situated her to understand the demands of growing businesses and the complexities of the land use regulatory processes they face. Representing the firm’s clients in a variety of zoning and land use matters, Erin engages with architects, engineers, and professional planners. She has prepared and submitted land use applications ranging from zoning permits for small businesses to multi-phase subdivision and site plan approvals for major mixed-use developments. She has successfully defended clients’ applications before local and county land use boards. 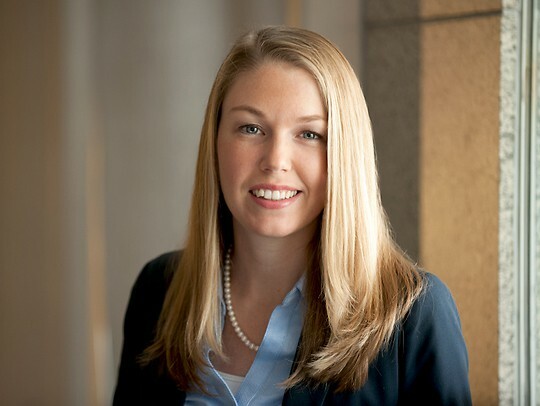 Erin also has extensive knowledge of New Jersey’s various financing and tax incentive programs available to developers and businesses through the NJEDA. In real estate matters, Erin provides guidance to clients on redevelopment, leasing, acquisition and sale transactions involving commercial, residential, and industrial properties. She has performed due diligence for complicated real estate transactions and researched issues relating to easements, deed restrictions, and other quiet title matters. During law school, Erin interned with South Jersey Industries, working closely with the Corporate Secretary and General Counsel. In this role, she experienced firsthand the variety of legal issues affecting corporations on a daily basis. Most importantly, Erin learned from a business perspective which qualities lead to the most effective legal representation. She is mindful of this perspective, focusing on each business’ needs, keeping up with the latest legal and industry developments, and always maintaining effective communication. Away from the office, Erin enjoys running and traveling. She competed as a Division 1 track athlete for Monmouth University and completed the Philadelphia marathon in 2016. She remains active in the Camden community, participating in volunteer efforts with the Camden County Bar Association.